While wave energy in general maintains unique advantages when compared to alternative clean energy sources in terms of predictability and more consistent activity cycles, Atmocean has specific attributes that set it apart from other wave energy companies within the industry. These distinctive design aspects of our technology position Atmocean as the industry leader in ease of deployment, serviceability, and overall economics. 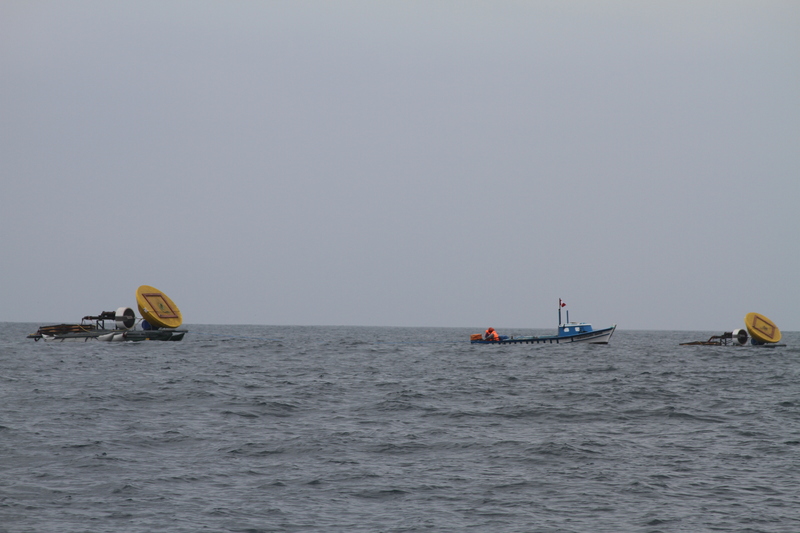 Small boat operations are feasible for single system deployments. 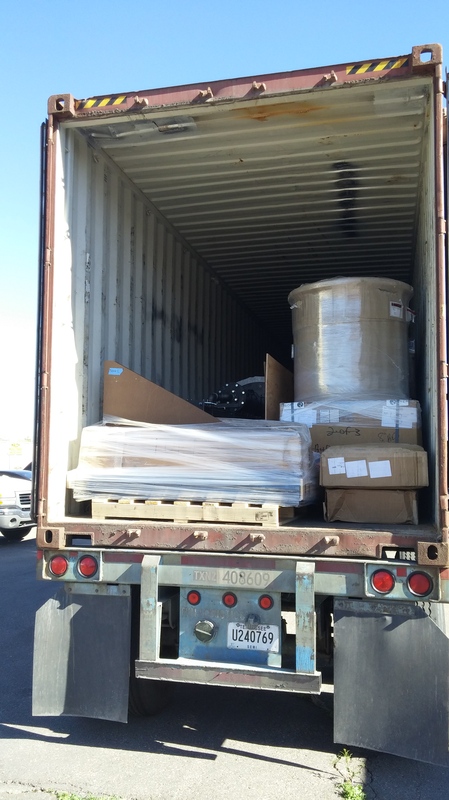 1/3 commercial system loaded and shipped from Abq. NM, USA. Like a blade of grass in the wind, Atmocean’s wave energy array and carbon sequestration system has been designed to operate simply within a very complex and punishing ocean environment. As Atmocean pumps seawater to shore, it allows us to keep more delicate components of the desalination processes on shore while simple pumps operate in the more difficult to access ocean environment. Due to our modular approach, our system can be shipped in standard shipping containers. This small modular design allows for production at an industrial scale and central location, reduces on site operations and use of heavy machinery, and gains Atmocean the economy of scale while using proven means for transportation across road, rail, and sea. It also affords us the ability to meet individual community and or city needs as additional modules can be added to fit specific requirements. Finally, small size and simplicity means that while globally applicable, our system is also locally serviceable. The manageable size of the system allows for a quick roll-out using local artisanal fishing boats and barges. Since we use parts and materials that are widely available, refurbishment and maintenance can also be done locally. These design decisions allow local communities to take ownership of these low cost systems, thereby generating local employment and engagement, enabling the realization of renewable fresh water production along coastal areas from ocean waves.